In Honolulu, today’s average price is $2.53, which is two cents more than last week, eight cents more than last month and 71 cents lower than last year. The Hilo average price is $2.77, six cents higher than last Thursday, seven cents higher than last month and 48 cents lower than on this date a year ago. Wailuku’s average is $3.19, two cents more since last Thursday, seven cents more than last month and 22 cents less than on this date a year ago. 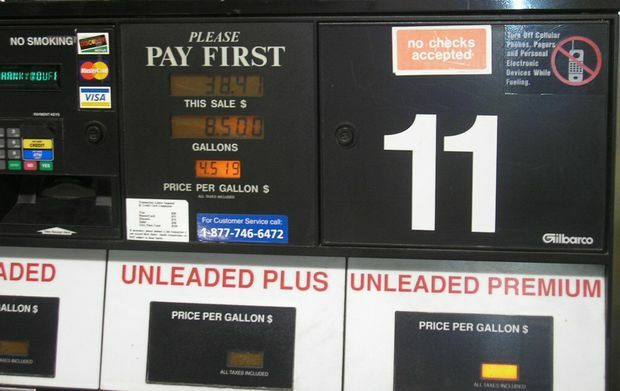 “In an effort to continue to help travelers and the public with fuel information, AAA’s Fuel Gauge Report website has been redesigned and renamed GasPrices.AAA.com,” according to AAA Hawaii General Manager Liane Sumida. “The enhancements include an updated interface that resizes between desktop, mobile and tablet for improved visibility. There’s also an enhanced gas-cost calculator featuring additional destination options, a miles-per-gallon (MPG) filter and results comparisons between locations to assist drivers with fuel savings,” she added. Motorists can find current prices along their route with the free AAA Mobile app for iPhone, iPad and Android, available at AAA.com/mobile. The app also can be used by AAA members to map a trip, find discounts, book a hotel and access AAA roadside assistance.